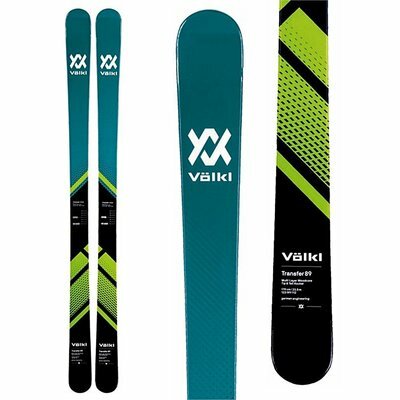 The Völkl Transfer 89 Skis differ from their smaller waisted cohorts in more than just size. These park-perfect skis include carbon stringers for an extra measure of pop and power, perfect for hitting features with extra aggression. Their 89 mm waist allows them to trample rails, jumps and features with ease, while also ripping up the rest of the mountain. If you aim to take your ski skills to a higher level, the Völkl Transfer 89 Skis belong on your feet.